I think we humans have a natural affinity for birds because they sing and have wings. We, too, are born to sing, and as long as we trod this earth, we've yearned to fly. In watching them, we vicariously satisfy that longing. What's more soul-stirring than birds in flight? For me, birds are poetry in motion...they inspire, comfort, amuse and please us aesthetically. They lift our spirits and touch our hearts. 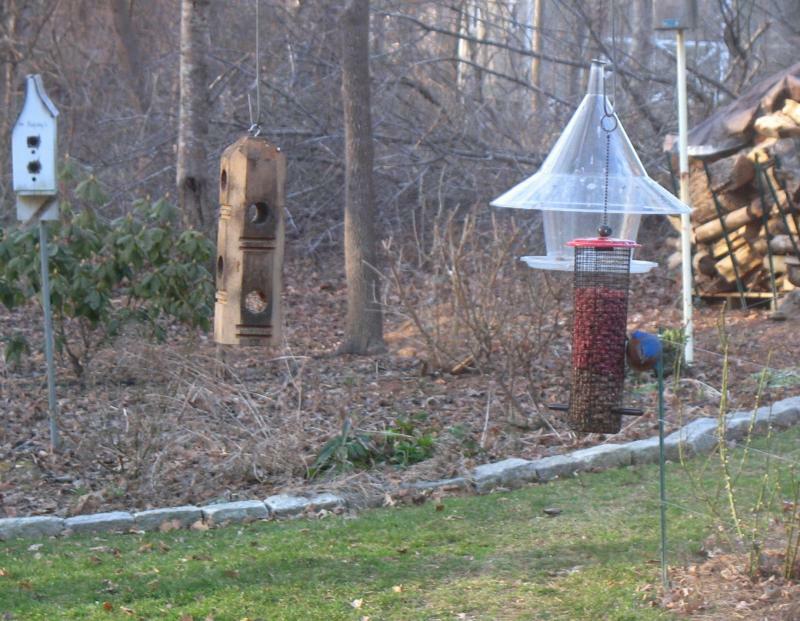 Feeding birds is a tangible way to connect with them. It is a labor of love with earnings that far exceed the cost of time and effort, suet and seed. I hope you have been feeding our feathered friends all summer, as I have. What a joy to see the many baby birds being taught to feed themselves at my feeders. The goldfinches are fading from their summer bright clothing as they molt for winter. Northern birds are migrating through to their winter homes. . . so be on the look out. This year we are seeing pine siskins and red-breasted nuthatches in our area, better stock up on nyjer and peanuts for those two at your feeder. This will be a good time to think about what new seed you might want to try, remember the greater variety of food choices and types of feeders = the greater variety of birds you will attract to your own back yard! Black-oil Sunflower Seed - Attracts widest range of birds, high in protein and fat . Best feeder to use is a wire mesh feeder, birds have to pick it out one seed at a time, no waste method of feeding! Gourmet Wild Bird - High quality blend, 40% sunflower, 54% white proso millet,2% nyjer, 2% sunflower kernals & 2% safflower. . . NO Milo filler! Best to feed mixes on a platform feeder that also attracts ground feeding birds like white throated sparrows and indigo buntings. ** NEW Songbird Buffet - More black oil sunflower, sunflower kernels, canary seed, cracked corn, striped sunflower, safflower, white and red millet. Great for small tube feeder or platform feeder. ** NEW Backyard Best Blend - Great all purpose mixed blend of seed with 20% mixed nuts added in to attract the widest variety to your yard... Black oil sunflower, mixed nuts, safflower, striped sunflower, sunflower kernels, white millet, red millet and cracked corn. Best served on platfrom feeders! Nyjer (thistle) - Goldfinch magnet! ** NEW Finch Feast - 1/2 nyjer - 1/2 sunflower minis attracts more birds to your nyjer feeder... I have even seen my bluebird on this blend! Safflower - Good energy source for most birds, cardinals love it! Not eaten by squirrels and grackles or blackbirds! **NEW Nutra Safflower - 40% thinner shell, 15% more oil content, 25% more protein and 30% higher fat content than the regular safflower. My birds love it, even my finicky finches AND the squirrels have not touched it!!! Sunflower Kernals - Great choice for patio, deck or balcony. . . no waste, no empty hulls to clean up. Favorite of all birds, even Eastern Bluebirds. Always the # 1 choice of all birds that come to my yard! Good seed to offer in hopper or tube feeder because the birds will not rake it out as they do in mixes. We also have a new mesh feeder that is great for kernals or safflower seed. ** NEW Sunflower minis - Shelled sunflower in very small chips... bluebirds and goldfinches go wild over this seed. Raw Peanuts - This is also one of my busiest feeders. No mess, no empty shells left behind, just good food that is high in fat and protein to keep birds in top condition. Favorite of woodpeckers, nuthatches, titmice, bluejays, carolina wrens and cardinals. **NEW Mixed Nut Blend 'Woodpecker, Chickadee & Nuthatch Blend' - Mixed tree nuts, 100% pure food with no seed hulls. Really saves you from refilling often. nuts are bigger and birds must peck them to eat them on the feeder rather than grab one and fly away to feast. Cracked Corn - Inexpensive feed that appeals to a wide range of ground feeding birds such as cardinals, white-throated sparrows, towhees, blackbirds and doves. ** NEW Wast-free Blend - Completely edible, no waste or mess. 60% shelled sunflower and 40% tree nuts! Another good choice for patios or decks. Best served on platform feeders. Peanuts in the Shell - Favorite of bluejays, offer these and the jays will stay off your other feeders allowing smallers birds to feed. 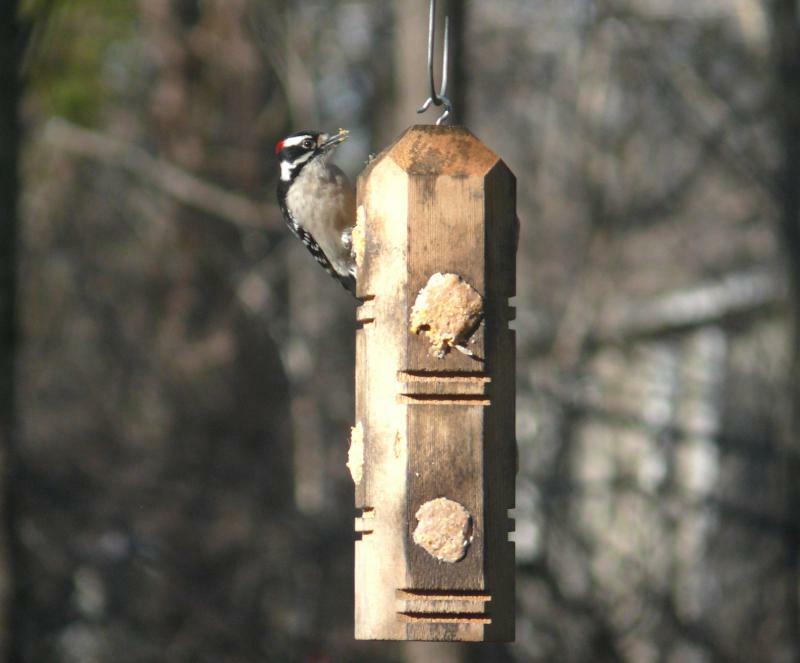 Red-bellied Woodpeckers and titmice love them too! Lots of fun to watch in action! Offer whole peanuts on platform feeders or specialized peanut feeder. Coles Hot Meats - Nutritious sunflower meats infused with hot chilies. Birds love it . . . but it is "fire in the hole, baby" for our furry friends! Coles Special Feeder - Unique blend is a high energy treat for woodpeckers,nuthatches,cardinals, goldfinches, titmice, chickadees, wrens & the list goes on and on. I have not had a bird turn up their beak at this premium mix!!! Suet - Comes in many flavors and styles from square blocks to plugs that fit specialized feeders.Should be served year round as it offers a high fat and protein source that is easy to digest for winter feeding and babies in the nest all summer. Seed Cakes - Many shapes and sizes, offers a convenient and economical way to feed a variety of birds. "Mr. Bird " seed cake have been a favorite of the birds at my house! Suet nuggets - High energy suet in small nugget form. 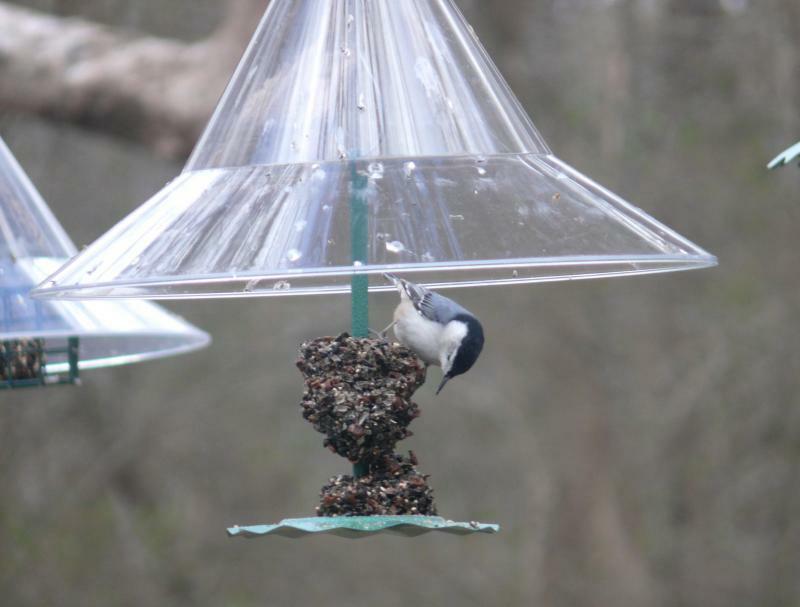 It works well in a peanut feeder or a platform feeder. We stock Bluebird nuggets, Hot pepper nuggets and berry nuggets. This was my newest addition to my backyard buffet. Bluebirds loved the berry nuggets and woodpeckers loved the bluebird nuggets, go figure!!!! Copyright 2010 Raywood Landscape Center. All rights reserved.